Stitch Fix and Flickerbox partnered together to help create wider viewership for the women’s blog. 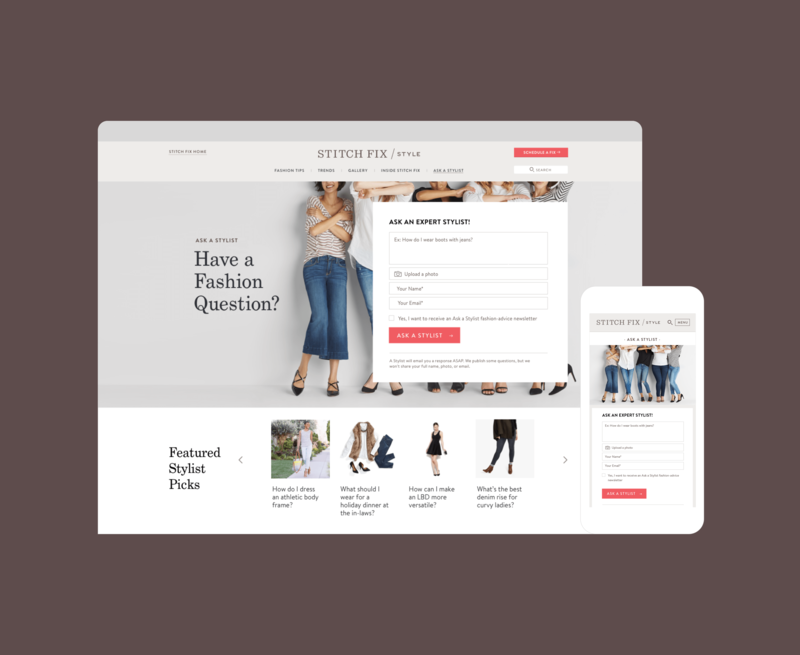 The original ask from Stitch Fix was to help re-architect the blog and reorganize content in an intuitive way to help structure growth and increase content engagement – ultimately resulting in increased signups. The blog offers a feature where readers can ask Stitch Fix stylists for tips and advice. Before partnering with Flickerbox, this was a manual process that was managed in a spreadsheet and took approximately 10 days for turnaround. 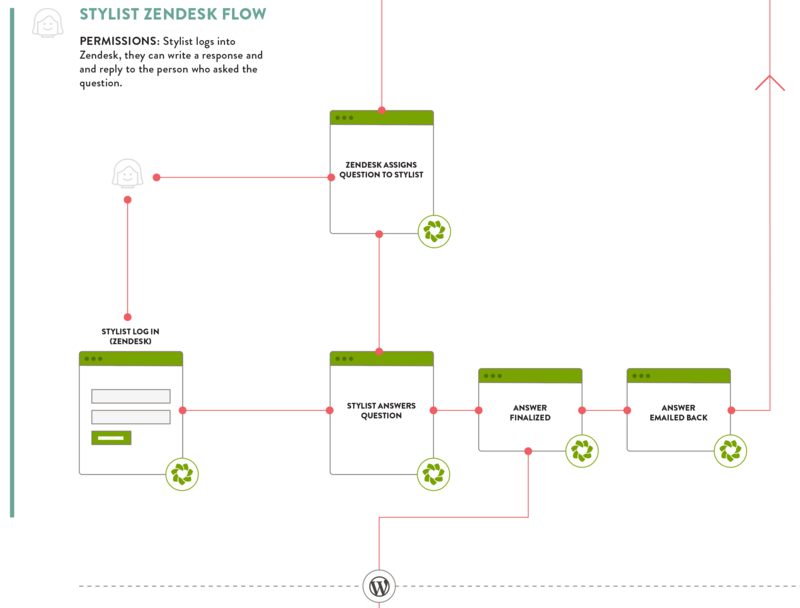 We implemented a workflow using the Zendesk API, hooked up to WordPress, which cut down response times to less than 24 hours. Flickerbox created an editorial workflow to allow multiple contributor types to collaborate on the drafting, editing, and approval process of blog and content creation. This new workflow allowed the entire marketing team to be able to contribute to different steps in the publishing process in tandem. 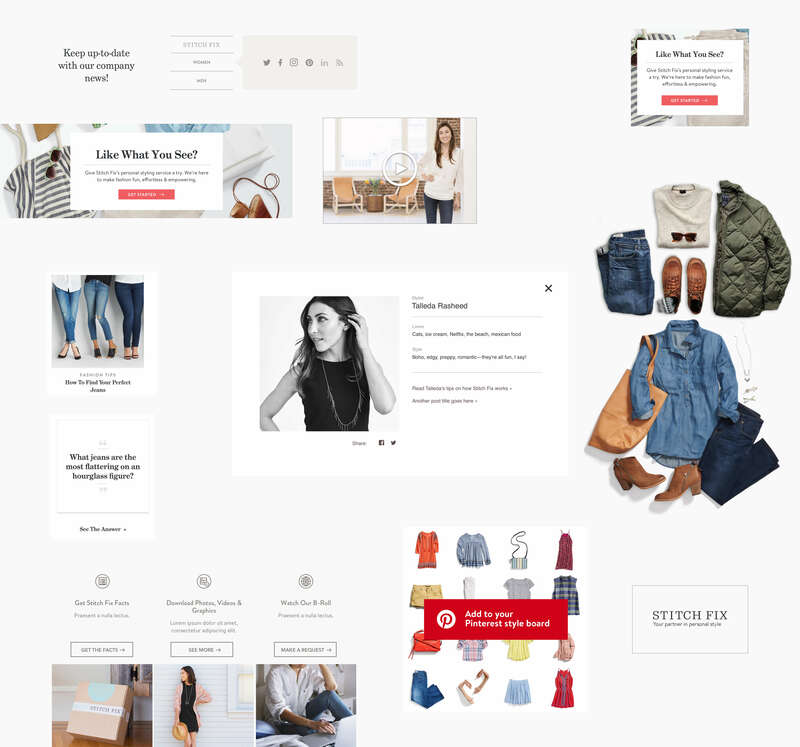 Flickerbox and Stitch Fix have continued to partner together to build out the blog with new and redesigned pages and sections. We have also continued to customize and modify the WordPress on Pantheon setup to make updating and managing the blog as easy as possible for the marketing team. As a result of this long term partnership, viewership has increased by 100%. I've loved working with Flickerbox for the past few years. They've done an amazing job of helping us design, launch and optimize our two blog properties. In addition to stellar client support, they've also proven to be valuable partners when redesigning elements of our user experience.